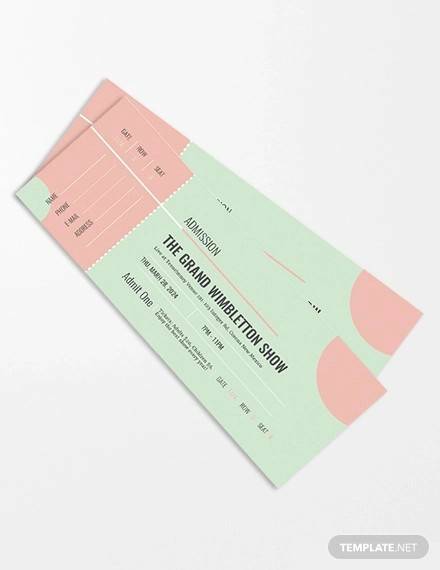 Tickets are so common that probably everybody is accustomed to it; it’s nothing but a paper or is a small document that is required to make an entry into an event, like a film show, a rock concert, a drama, a theater show etc. 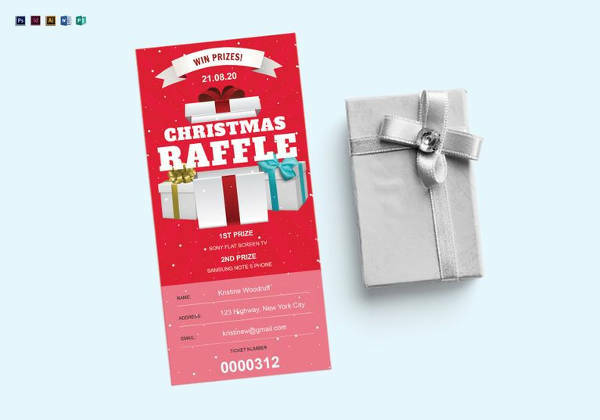 However printing or making such tickets can be a tedious task. For the authorities who needs to make such tickets the use of the blank ticket template can be advised that will make the whole work a lot more easier. 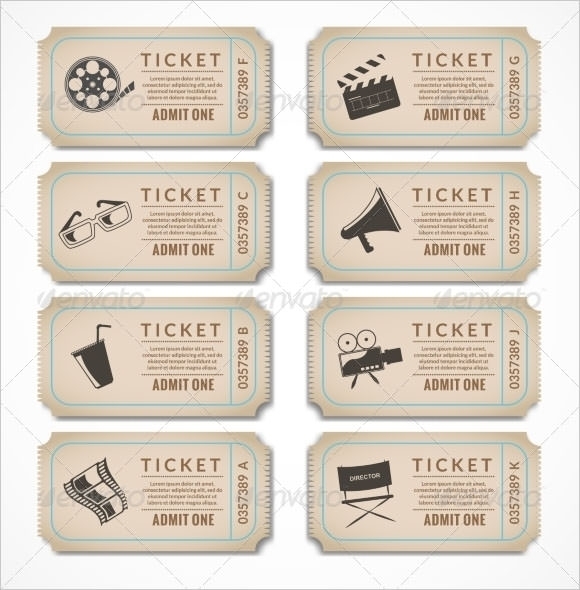 These Movie Ticket templates can be downloaded very easily and are print ready. They are sure to speed up the work of the concerned authorities. 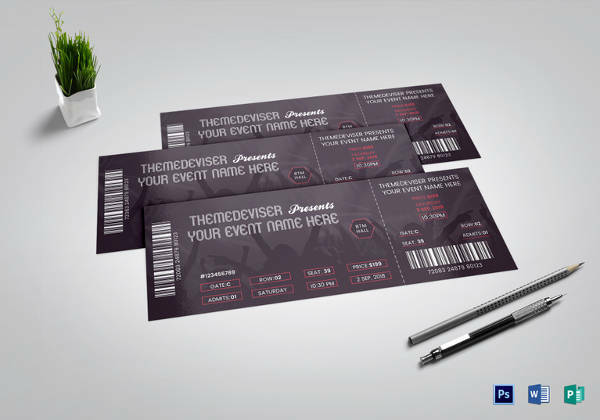 This is one of the simplest templates of ticket designs that sticks to the basics and also help to create very professional looking tickets. The resolution of the template is very good that allows good and clear printouts. The template is fully editable where the user can change and feed in information as per requirement. 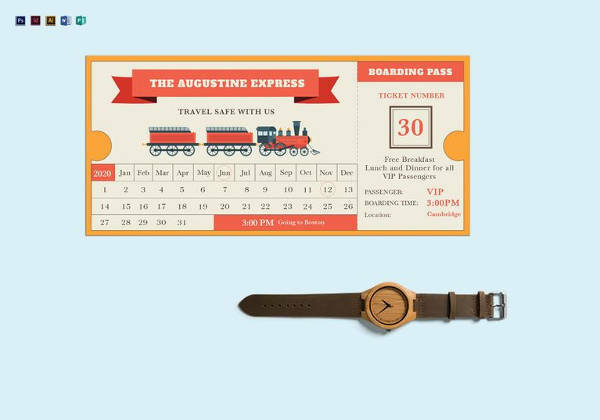 Attractive and trendy this is a blank ticket template that is best suitable for travel tickets. The spirit of fun and adventure is borne very clearly in the background theme of the template. The propagation tagline is also very catchy. 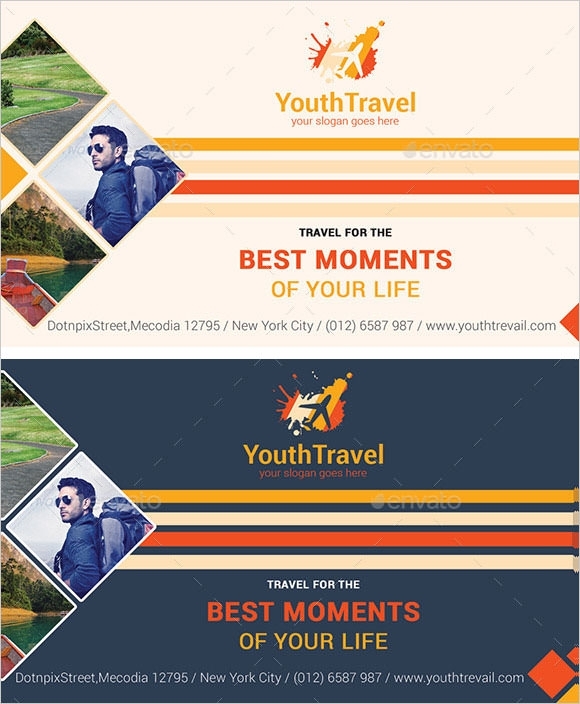 In short this template can offer a good design for tickets for the travel house and also as promotional flyers. 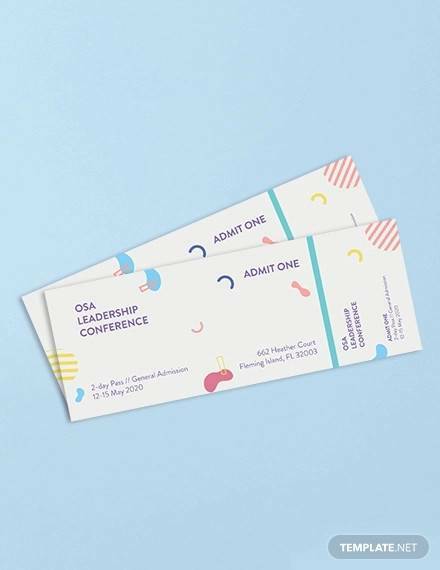 This ticket template can be used for any kind of event. This is the template that can be employed for musical shows, or for theatre or even for other social gatherings. The template format supports information of the location of the event, the timings of the event and also the date when the event is to be hosted. Sticking to the very basics this is a very regular template layout that offers the most fundamental information related to the movie. 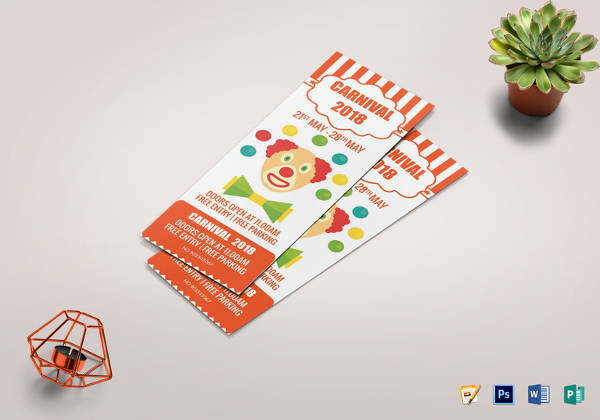 The illustrations, graphics and also the color play of the template gives the ticket a very retro look and feel. The template is very easily downloadable and is also print ready. 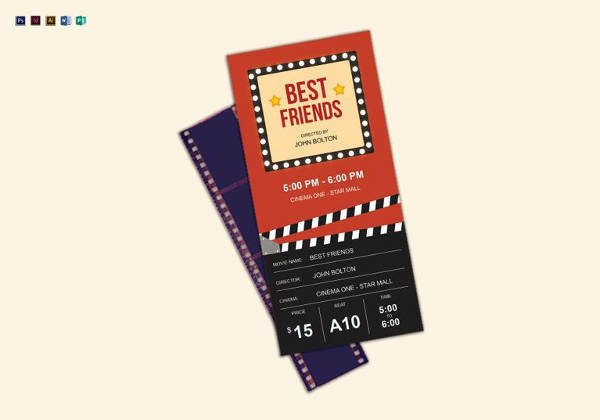 This is a blank ticket template that can even pass for an invitation pass. Styled for the event of wedding the format, the theme and also the choice of the font is very simple but regal at the same point. The template design comes in soothing and solid colors. 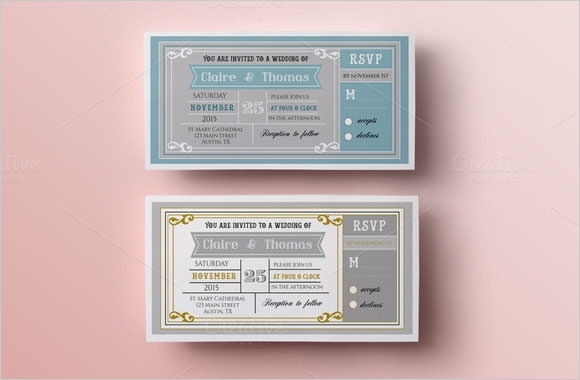 The template offers spaces that hold information such as the name of the bride and the groom and also the date of the wedding and the venue details. 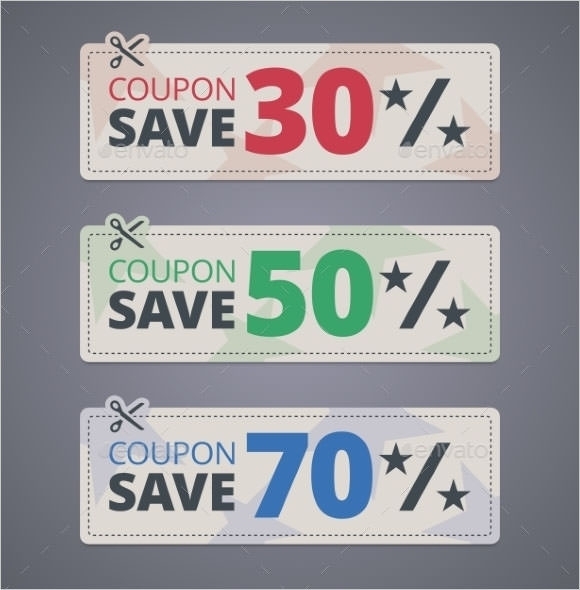 Simple in its style and also very minimalistic in the design pattern, this template offers the most suitable option to create a coupon of savings and free gifts. Such types of template will come very handy for the consumer companies in the current times and can be one of the most elemental tools of their marketing strategies and schemes. 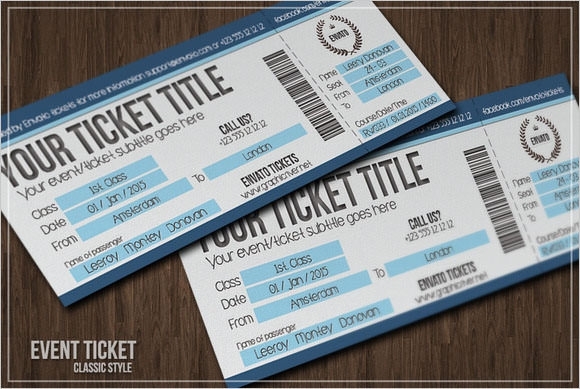 This blank ticket template has a very classic look and also is rather simple in its design. 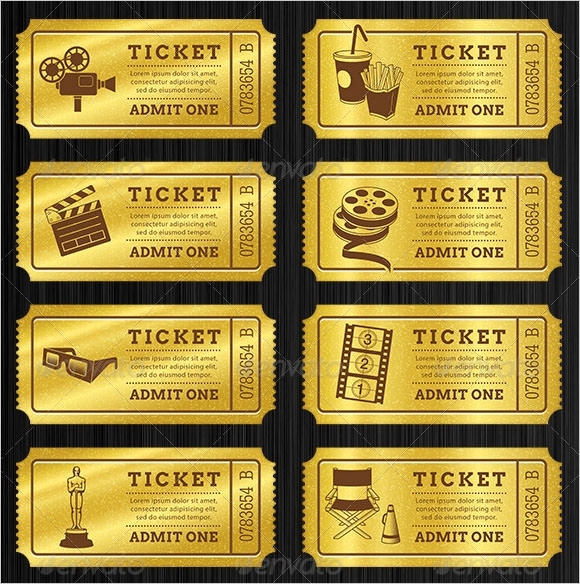 This is a template that can be easily employed for movie tickets. The template clearly informs regarding the number of admission to be made against the ticket and also the details of the name of the movie, the timing, venue etc. 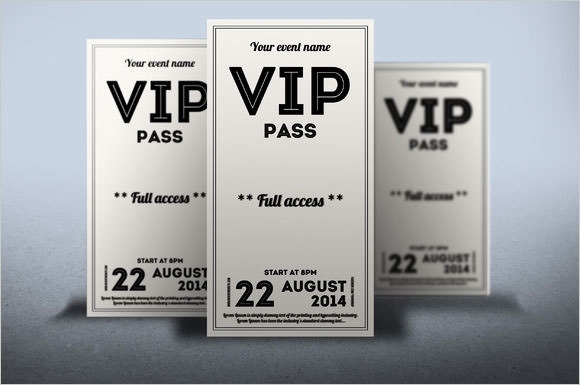 A ticket and also a VIP pass this is a template that can serve the dual purpose. 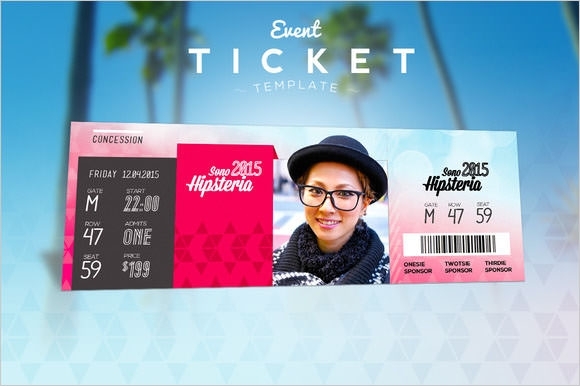 This pass n ticket template is provided with completely responsive features. The template is fully editable that will help the user to feed in information as per requirement. 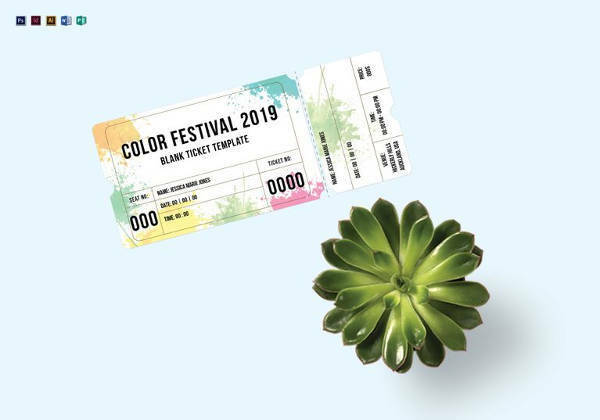 Tickets are documents that reserve the rights of a person for entrance in an event. Although they look very simple making them can be a serious job. 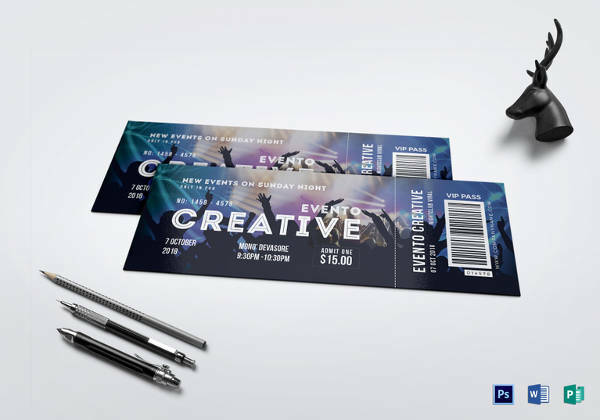 Trust the blank ticket template for smart and trendy option for making tickets of the new era.